Sony Europe has announced two PS Vita packs for those who have yet to add the handheld to their collection and for those who already own one. There’s also the choice of two bundles depending on your hardware preferences. The memory card bundle comes with an 8GB card and a PlayStation Store voucher code to download all five games. The PS Vita plus memory card bundle includes an 8GB card and a voucher code for all five games, as well as a Vita. 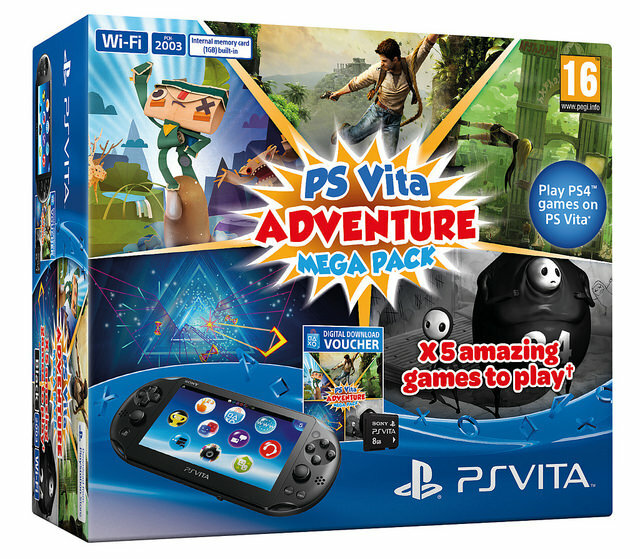 Mega Pack with PS Vita is €199.99 which the same price as standalone system. The solo memory card bundle will run you €39.99. Hit up the EU PS Blog for more details. If one for the US is coming, it hasn’t been announced as of press time.